Swimming locations can be found in the most unexpected places, some of which include on top of waterfalls, on the edge of cliffs, or in flooded caves. Most people escape the summer heat by jumping into a man-made pool. But this can in no way compare to plunging into a refreshingly cool natural pool, surrounded by clear turquoise waters and fairytale-like picturesque scenery. 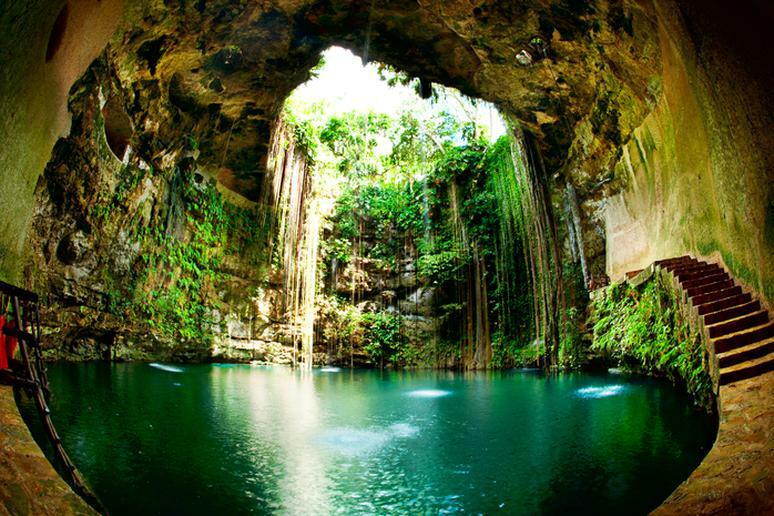 Defined as a natural body of fresh water that usually situated near a river or stream, the incredible swimming holes on the following list are smaller, but still substantial bodies of water that are scattered all over the world. They offer even those who live in non-coastal areas the opportunity to wade and play in the water on warm spring and summer days. Fun water activities in swimming holes can be once in a lifetime adventures, depending on where you are. All of them, however, come with certain risks – the water is wild and always changing, rocks can be slippery, and most are not equipped with safety or rescue equipment so bring at least a rope. Enjoy the rest of the summer exploring hidden falls, quiet ponds, and river shallows.